Walgreens has joined as the newest member of Dow with the exit of General Electric on Tuesday. Walgreens Boots Alliance Inc (NASDAQ: WBA) is a giant drug store chain that started in Chicago in 1901, and chances are you've either heard of the brand or shopped at one. The latter part of the company name, Boots Alliance, refers to the company's other business. Walgreens bought Alliance Boots, a merger between a drugstore retailer in Boots and drug wholesale and distribution in Alliance, in 2015. The company is valued at $66 billion with a revenue of $33 billion and a profit of almost $2 billion in the last quarter. Walgreens completed a purchase of over 1,900 Rite Aids in March as it looks to expand. 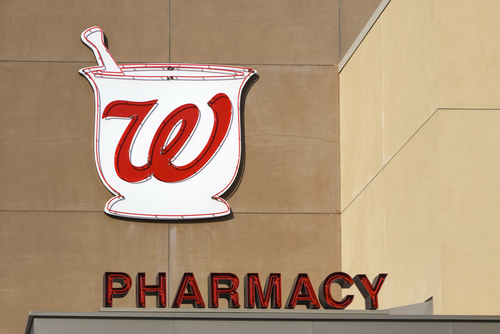 This was a smaller deal than intended, but Walgreens abandoned the larger purchase of more Rite Aid stores when the deal faced regulatory review for years. According to CNN Money, analysts anticipate Walgreens' earnings per share to increase at a 12% rate for the next few years on average. It will be a positive stock in addition to the Dow, as it is up 50% over the past five years. Walgreens is the 23rd largest company in the Dow with stocks hovering at around $67 below NIke. The Dow ranks by stock price not market value, which means although GE's net worth of $111 billion was larger than Walgreen's $66 billion, it was ranked as the smallest company in the Dow because of its tremendous decrease in stock price to the teens. The Dow already include JPMorgan Chase, Goldman Sachs, Merck, Johnson & Johnson, Microsoft and Apple among its elite members.